Ross Greenwood has covered finance and business matters both in Australia and around the world for almost 30 years. Currently Business and Finance Editor of the Nine Network’s “Today” show, Ross was also co-host of Nine’s former flagship current affairs program, “Sunday”. Ross can be heard presenting the weekday segment “Money News”, on 2GB and MTR. As a director of the share market listed investment company WAM Capital, Ross also has practical finance experience. For six years he was chairman of the investment committee of the “JUST” superannuation fund, the industry fund for journalists and entertainers, and in 1997, Ross was named “Superannuation Trustee of the Year” by the Australian Institute of Superannuation Trustees for his work with JUST. Throughout his career Ross has headed up a number of financial publications including the weekly British magazine “Shares”, where Ross was editor-in-chief and co-creator between 1999 and 2003. Since his days at “Shares”, Ross has gone on to head up “Business Review Weekly”, “Personal Investor”, The Age’s “Money” section and Australia’s “Shares” magazine. Ross currently writes a monthly column for “Money Magazine”. Before joining the Nine Network, Ross spent time in London where he appeared as a commentator on BBC television, CNN, Sky News and Bloomberg, as well as being a regular co-host of BBC Radio Five Live’s main business program, “Wake Up To Money”. 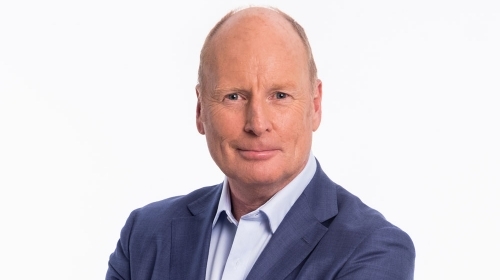 As a highly respected financial analyst, Ross has hosted radio programs for a number of stations and currently hosts “Money Matters” each weeknight on 2GB and MTR, as well as presenting “Money News” on the “Alan Jones Breakfast Show” and the “Steve Price Breakfast Show” each morning. With his vast knowledge of the financial market and current affairs, Ross is a highly sought after MC/Host and Keynote Speaker. Ross lives in Sydney with his wife, Tanya, and son Mitchell. A keen sports-man, Ross coaches his son’s basketball team. Topics: Financial or business topics.